Did you ever wonder how women in the United States began using a bra as part of their daily wardrobe? Would it be surprising to find out that the use of bras in the United States originated from helping soldiers fight in the Great War in 1917? Contributions from designers and inventors, such as Mary Phelps Jacob, allowed women to embrace newfound freedom with a bra. 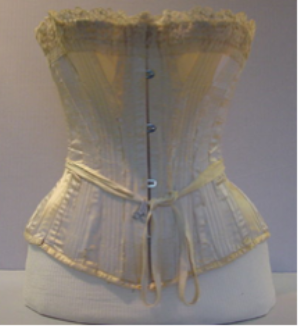 The evolution of the bra all began when Mary Jacob refused to wear a typical 20th-century corset. 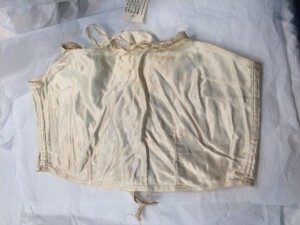 New York socialite Mary “Polly” Phelps Jacob was getting ready for a ball when the support rod from her corset poked through the fabric, causing her significant discomfort. Tired of the pain caused by the corset, Jacob requested from her maid, two handkerchiefs and a ribbon. 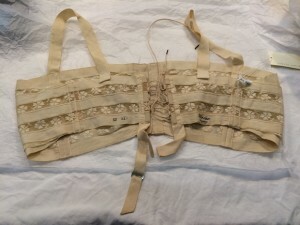 Jacob proceeded to sew the handkerchiefs with the ribbon, which created a comfortable alternative to the corset, providing a flattering shape to her bust. When she attended the ball, friends and family asked for the secret behind her new look, to which she explained her creation of the brassiere (“upper arm” in French). As word got out to the community, Jacob realized the potential of turning the brassieres into a business. On November 3, 1914, Jacob received a patent for the “backless brassiere” under the name “Caresse Crosby,” the first person to patent the backless brassiere in the United States. Unfortunately, Jacob was unsuccessful in marketing the brassiere, and in 1915 sold her patent to the Warner Brothers Corset Company in Bridgeport, Connecticut, for $1,500 (approximately $35,000 in today’s dollars). 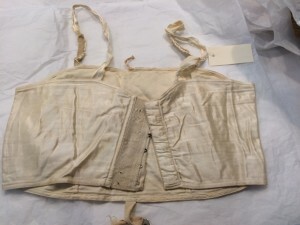 By the late 1800s, Connecticut was among the most proficient producers of manufactured goods in the nation, and Bridgeport, a leading manufacturer of corsets—providing nearly three-fourths of the total corsets to the United States. 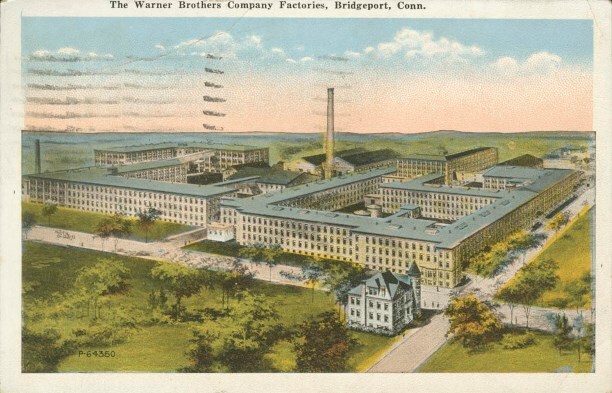 One of the most important companies in Bridgeport was the Warner Brothers Corset Company, which successfully produced a variety of health corsets, including the “Coraline” corset. 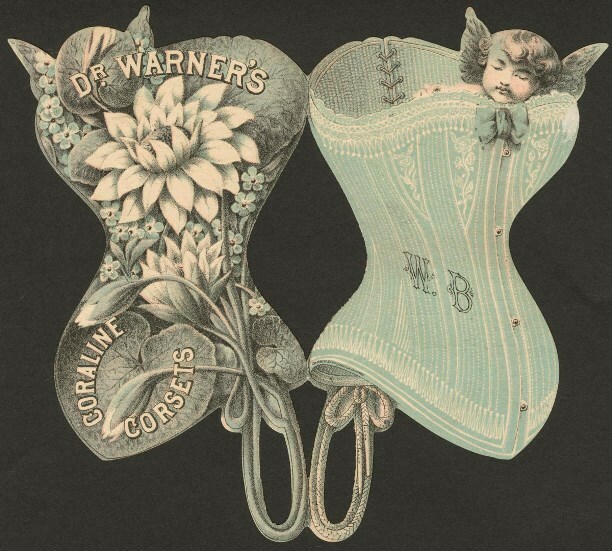 By 1912, the Warner Brothers Company was the leading corset manufacturing company in the world. As the United States entered the First World War in 1917, the nation placed conservation and rationing policies on items such as food, rubber, and metal. In effort to conserve metal, manufacturing companies such as the Warner Brothers Corset Company halted the production of corsets, conserving roughly 28,000 tons of metal—about enough to build two battleships. These companies remolded the metal to produce military equipment such as helmets, armor, and wristwatches. More importantly, metal went to the armament industries such as the Remington Arms company in Bridgeport and the Colt Factory in Hartford, to build small arms and munitions for the soldiers fighting overseas. With the decline of available corsets during the Great War era, the backless brassiere gained popularity. D. H. Warner, President of Warner Brothers Corset Company from 1894 to 1934, began mass producing the backless brassieres, increasing the company’s revenues to $12.6 million by the 1920s. These boosted revenues helped transform the Warner Brothers Corset Company into an enormous corporation. The growth in brassiere sales came at a time when women began to express themselves through the use of more non-restrictive clothing. 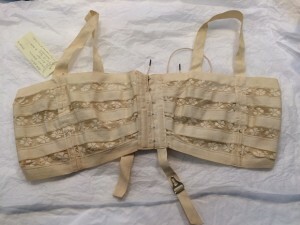 The emergence of different styles and sizes of bras coincided with a growing women’s movement in the country that witnessed women finding new ways to assert their independence. (The brassieres and other styles of bras such as the bandeaus (strips) also earned acclaim among women due their ability to flatten-down breasts, an important feature of “Roaring Twenties” fashion.) As a result of the Great War, women found new ways to showcase their freedom and individuality, including the manner in which they shaped their bustlines. Christina Nhean wrote this piece while an intern at the Connecticut State Library and student at Central Connecticut State University. It served as part of the library’s Remembering World War One: Sharing History/Preserving Memories project. “Historical Inventors: Mary Phelps Jacob.” Lemelson-MIT Program, 2016. Link. “Mary Phelps Jacob (Caresse Crosby).” Phelps Family History in America, 2016. Link. “The Warner Brothers and Their Amazing Corsets.” Bridgeport Library, Bridgeport History Center, 2016. Link. BuzzFeedBlue. YouTube: Women Try On Vintage Bras, 2014. Link. Jacob, Mary P. Patent Number 1,115,674 - Brassiere. 1,115,674. Mamaroneck, NY, issued November 3, 1914. Link. Evans, Harold, Gail Buckland, and David Lefer. They Made America: From the Steam Engine to the Search Engine: Two Centuries of Innovators. New York, NY: Little, Brown, 2004.